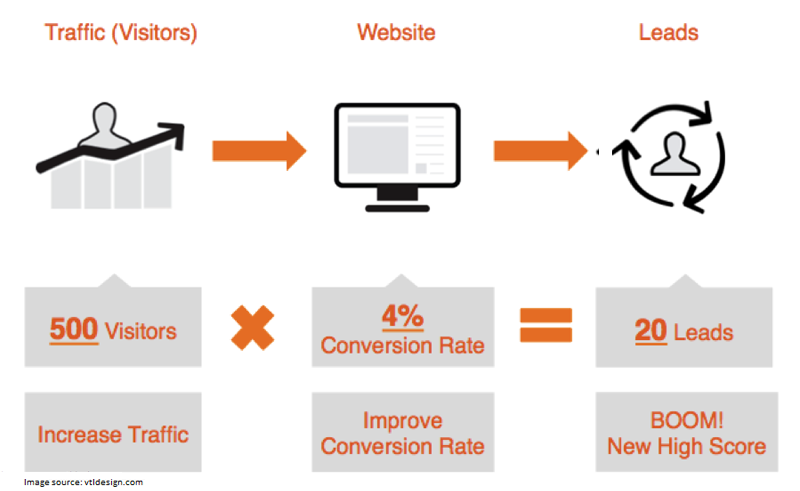 Website conversion depends on two important things: quantity of traffic and quality of traffic. But surely quality matters as you don’t want to get leads for the sake of getting if there is no conversion. The truth is having more and more conversions require maximizing the website traffic. But the website design and the way it has been developed, sometimes become the biggest barriers in getting high conversion. The website not only represents the company but also influences the sales generated online. So, it’s important to find out the web design issues which are responsible for low conversions. There are some very useful tools available in the market which can help you to find out the web design errors. Let’s discuss! Undoubtedly you want your website to look beautiful. It feels nice if visitors stop for a while to appreciate the beautiful design. You must have designed it keeping the conversion in mind. But don’t forget, design is not the only one. Copy-writing will help you to engage with the customers in a better way and boost online sales. Your web copy should convey the right message. The tone of language should be simple, free from jargon, attractive and more direct. So, apart from web design, you also need to find out whether the web copy is catering the correct message or not. Qualaroo: It runs surveys among specific groups of website visitors and provides their feedback regarding your website. Survey.io: It helps you to run customer development surveys and get feedback. Allow your website visitors to interact with you on the website itself whenever they face any issues. The users are the ones who can tell you about the problems in a better way and what if you can solve those instantly? Live chat software will help you with this. It allows them to live chat with you or your support team for getting instant assistance. Apart from that, you can also get personal details of every visitor like his country, geographic location, past visits, recent page views, etc. based on which you can reach to him personally for offering assistance. It actually enables you to stop any visitor from abandoning your website. REVE Chat : It is a multi-channel cloud based live chat platform that enables online businesses to connect with their customers in real-time. It helps to offer instant assistance to the website visitors, get customer feedback, improve sales conversions and build brand loyalty. REVE Chat is easy to use and can be integrated with your website within a few minutes. Visitors click on the important part of your webpage. For example, they may click on a product image to magnify it. If some of the webpages are long, people may not scroll down to the end. It’s important to find out which parts of the webpage are mostly clicked so that you can place your important content there. Heat maps can help you to find out the web design flaws. It reveals which parts of the webpages are getting more attention, clicked and viewed. Here’s how it looks. Hotjar: It visually represents the clicks, taps and scrolling behaviour of the visitors to make you understand what they need, think and interact on your website. Crazyegg: This app allows you to see what exactly the visitors are doing on the website. It provides information about where the users are clicking and where aren’t, how many people are scrolling down the webpages, where they have stopped, who clicks on what etc. 4. Is your website user-friendly? So, your website looks pretty good and you are obviously very happy with it. Satisfied? May be yes, but hold on! What about usability? Have you ever thought of it? A perfect website should be user-friendly also, if not then there is a big problem. Ease of use plays an important part in website conversion. It’s always important to place yourself in your visitor’s shoes and test the stages the visitor has to go through for completing any desired action on the website. Find out those steps where the visitor may stuck and work on it to make the process easier. Peek by UserTesting: A 5 minute free video of a real person going through your website. Spur: 7 different tools to check and find out web design issues, what’s working and what’s not. Visitors who fill-up a form are very likely to convert. So, it’s very important to create CTA forms correctly. There are some tools which help to find out how visitors are interacting with the forms. How many visitors clicked on a form, the exact percentage of people who filled it up, tried to submit and successfully submitted it, all this information you can get with the help of those tools. It will help you to understand whether customers are getting any trouble or which form fields are confusing to them etc. Based on all these data, you can work more on the form fields. Hotjar: This app allows you to understand why visitors are leaving your website and helps to improve the online form submitting rate. Formisimo: It provides insights on how visitors are interacting with the online forms and what’s making them discard the form submission process. Typos and grammatical errors are really embarrassing. As a visitor if I visit your website and find out that the name of your company is spelled wrong, then it will create a really bad impression. Chances are that I will never return to your website. So, here you are only responsible for making the process even harder for customers to believe in you and your products. So, detail proofreading of your website content is a must. Ginger: It helps you to find out several web design errors like grammatical and spelling mistakes. It corrects the content automatically once you run this app to proofread. Heminwayapp: This app marks the complex and lengthy sentences, common error and provides suggestions to make the copy simple. So, try to use some of these tools to find out what is going wrong with your website. Trust me working on those drawbacks will definitely improve the online conversion rate.